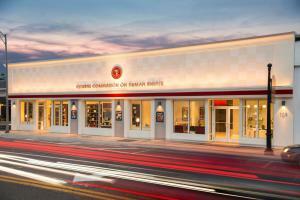 CLEARWATER, FLORIDA, UNITED STATES, August 3, 2018 /EINPresswire.com/ — The mental health watchdog Citizens Commission on Human Rights (CCHR) of Florida announced its support of the nationwide movement to ban the use of electroshock treatment—the practice of sending up to 460 volts of electricity to the brain to “treat mental disorder”—stating that such a ban should be imminent in light of increasing reports of patients being damaged and deaths. Florida saw a 60% increase between 2015 and 2016 in the number of Medicaid recipients who were electroshocked while Texas, the only state to record deaths within 14 days of electroshock being administered, reported a death rate in recent years that represents an estimated 300 deaths nationally each year. The most frequent causes of death have been cardiac events and suicide, according to one study. •	In March 2016, a coroner from Sunderland County in the UK determined Elsie Tindle died after electroshock triggered an epileptic fit which caused irreparable brain damage. •	Leading ECT researcher and advocate, psychologist Harold Sackeim admitted in an editorial in The Journal of ECT that “virtually all patients experience some degree of persistent and, likely, permanent retrograde amnesia.” In a January 2007 study published in Neuropsychopharmacology, Sackeim and colleagues acknowledged that ECT may cause permanent amnesia and permanent deficits in cognitive abilities, which affect ability to function. •	In 2005, Santa Barbara Superior Court Judge Denise de Bellefeuille ruled that a psychiatrist and Santa Barbara psychiatric facility deceived its patients by failing to tell them that ECT causes irreversible memory loss. The psychiatrist (who had performed shock treatment for over 20 years), admitted that neither he nor anyone else understands how shock treatment works, and that the consent form Johnson provided to patients was “decidedly misleading in a critical regard,” concerning the permanency of memory loss.